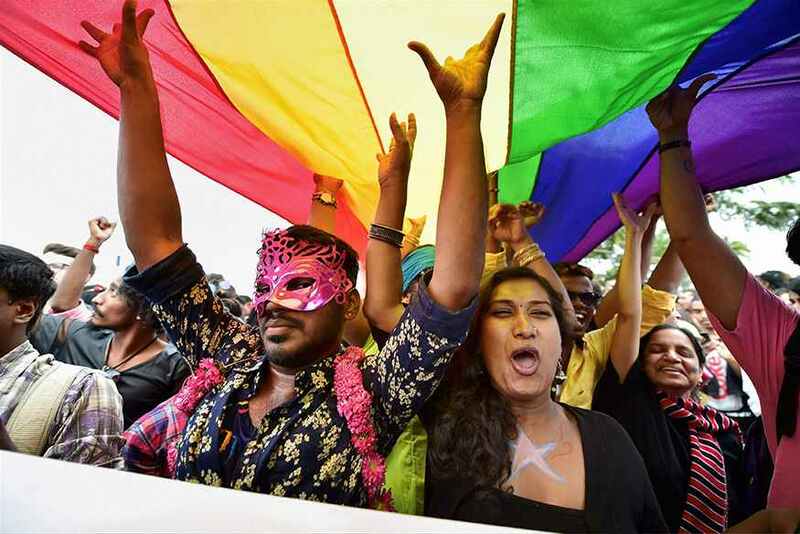 A 'Rainbow' show celebrating the Supreme Court's decision to repeal the historic Section 377 will bring the curtains down on the finale of the Lotus Make-Up India Fashion Week held here in association with NEXA Spring Summer19. The Fashion Design Council of India (FDCI) on Thursday announced a unique inclusivity-themed grand finale for the fashion gala, to be held from October 10-13 at the Jawaharlal Nehru Stadium. Inclusivity has been a recurring theme this year — whether it is weight, imperfections, skin colour or the choice and gender of your partner. Around 40 designers from across the country will interpret what they believe best represents the Supreme Court verdict which pays homage to tangible equality and decriminalises a certain section of humanity. The list of designers includes Abhishek Gupta, Abraham and Thakore, Alpana Neeraj, AM:PM, Amit Aggarwal, Anavila, Arjun Khanna, Arjun Saluja, Ashish N Soni, Atsu, Dev r Nil, Dhruv Kapoor, 11:11 / Eleven Eleven, Gaurav Gupta, Huemn, Ikai by Ragini Ahuja, Kiran Uttam Ghosh, Kommal Sood, Lovebirds, Manish Malhotra, Manoviraj Khosla, Mynah's Reynu Taandon, Namrata Joshipura, Nandita Basu, Nitin Bal Chauhan and Pankaj and Nidhi. There will also be Payal Jain, Poonam Bhagat, Rabani & Rakha, Raghavendra Rathore, Rahul Mishra, Rajesh Pratap Singh, Rimzim Dadu, Rina Dhaka, Rohit Gandhi + Rahul Khanna, Samant Chauhan, Shivan & Narresh, Siddartha Tytler, Suneet Verma, Varun Bahl, Vineet Bahl, Vivek Karunakaran and Wendell Rodricks. Each designer will dress a model in an ensemble based on the 'Rainbow' theme, an emblem for the LGBTQ community which was originally created by San Francisco-based artist Gilbert Baker in 1978, using six stripes in red, orange, yellow, green, blue and violet, to represent diversity and peace. "We wanted to give designers the space to experiment with the pre-designed hue wheel and show solidarity with this cause which many hold dear as it has liberated millions of people living shackled by fear of societal pressure and often harsh judgment. This was a victory of choice, dignity and privacy, a fundamental right and we are delighted that our title sponsor Lotus Make-Up supports this as a grand finale show," says Sunil Sethi, FDCI President. Nitin Passi, Director of Lotus Herbals Pvt Ltd, said: "As the presenting partner of Lotus Make-Up India Fashion Week we are extremely honoured to present the grand finale, which is a unique show celebrating the freedom that has finally been bestowed upon all members of our society. "It is truly a landmark year for India and there is no better way to end LMIFW than an amalgamation between the best designers of the country and Lotus Makeup to celebrate this historical milestone."